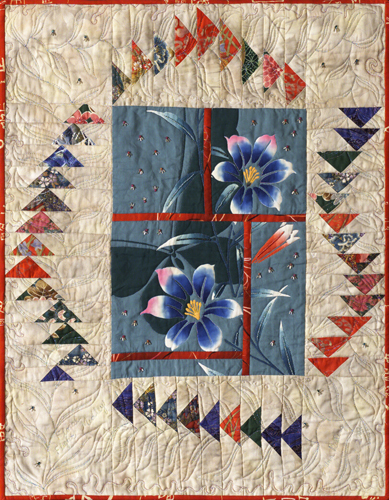 I received this floral panel as a gift when teaching in Japan so decided to splice and resew, add a border of wandering Flying Geese which repeat the colors in the panel and quilt with various threads. A portion of the quilting is top thread while the main part is bobbin work. Beads are added to look like insects.